BP: Tell us a bit about your life nowadays – family, job? WM: I’m a lift mechanic – I fix elevators. I’ve been doing that since I was 18. It’s not a bad job. Apart from that, I have three active kids so I spend a lot of time driving them around. Skyla is 9, Reece is 15 and Rowan is 17. They’re all active in sport. Reece plays state basketball and football. Rowan is starting cricket again and plays footy too. Skyla plays basketball. Have any of your kids expressed any interest in following in your footsteps to play sport professionally? Reece has. He’s a pretty good player for his age and he’d like to do football professionally. What was it like playing football in the 1980s compared with today? It was very different. It was tough because we had to work as well. I had a full time job and sometimes we had to train before or after work. They weren’t as smart back then as they are now. Today it’s all about recovery. With us it was intensive training and we trained harder than we played. That was the mentality in those days – just keep training harder. Now they spread it out more and they train every day. Did you enjoy the training aspect? I enjoyed it all, but it takes its toll on your body. I look back and I wonder how I did it. I used to come home some nights and just lie in bed and I’d be aching. I’d be thinking ‘what am I doing this for?’ Then I’d have to get up the next morning and do it all again. It’s amazing how much I don’t remember of those years because you’re just so into yourself and you just have to look after yourself. I don’t really remember events or things like that because I was just so busy looking after myself, my body and the team. A little birdie told me you were a Collingwood fan growing up, so how did it feel to play for the enemy? I was a Collingwood supporter until I went to Carlton. I became a Carlton supporter pretty much straight away when I joined the team. Now I can’t stand Collingwood. I just don’t like their Eddie McGuire mentality. Even though I also played for Sydney, we didn’t really win many games. So I’m really just a Carlton fan now. Tell us some of your football career highlights. I played a few times overseas. I played in Japan and then London three years in a row with Carlton. It was great to be able to travel with football and see other places. It gave me the travel bug after a while. I travelled a little bit after I finished playing. I went to London, America, Japan and Canada. What would you say is your most memorable highlight? 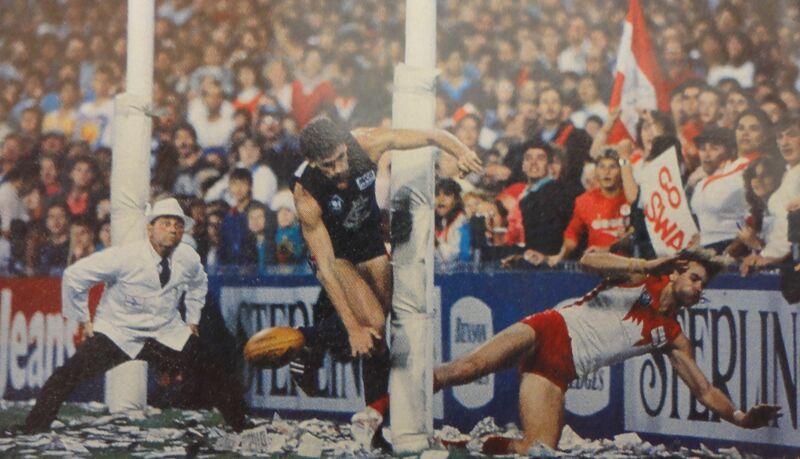 When we (Carlton) won the Grand Final in 1987. It was a tough game. I remember it was a hot day, about 30 degrees. Just the release after the game – we’d been trying to achieve it and we lost the year before in 1986. I’d say that win was my greatest sporting achievement. Just injuries. I had a lot of injuries to deal with. I did my knee once in 1988 and missed half a year. I also did my ankle once in 1989 and missed half a year. I had chronic hamstring problems when I finished my career so that forced me out of the game. 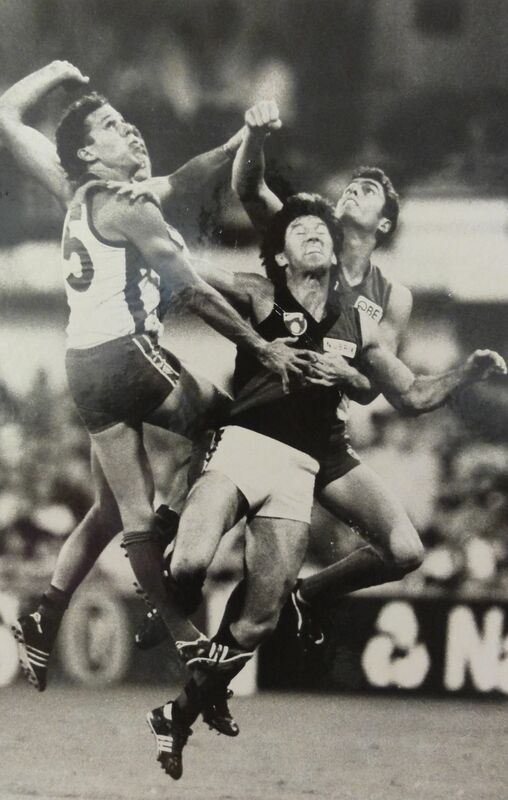 I was only 28 when I finished AFL. I wish I could’ve kept going. I probably would have liked to play until I was 32 or something. So how did you come to live in Warrandyte? 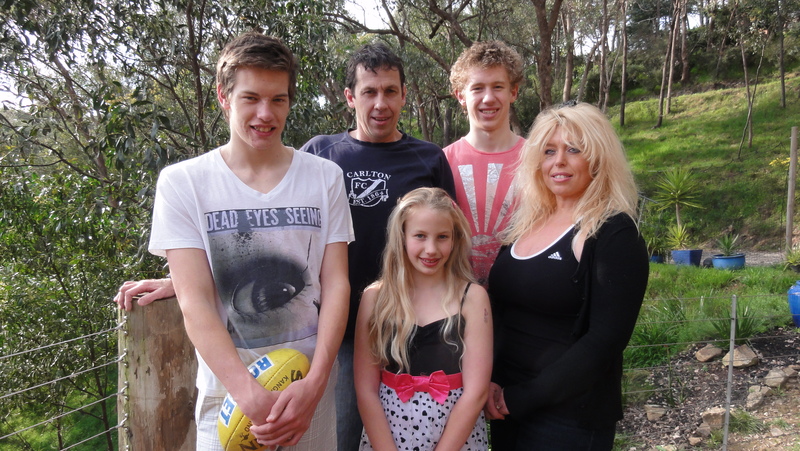 We were looking to buy a bigger place and we settled in Warrandyte. That was about 18 years ago. I love living here. I think it’s great. I like the animals. We have all sorts of wildlife come through our back yard. We’re lucky here.